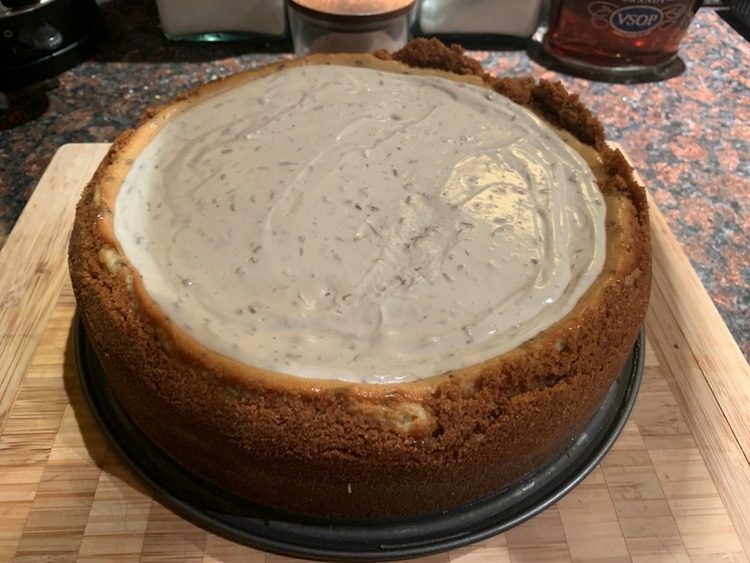 We went out for a family lunch two days before Christmas this year and my daughter requested a “special” cheesecake for the holiday. When I pressed her to be more specific, she made a vague hand gesture and said, “Maybe something lavender…” After further brainstorming, I suggested lavender, honey and vanilla, and something beautiful was born. Lavender is actually 47 species of flowering plants in the mint family that are believed to promote calmness and wellness. For culinary purposes (including teas), English lavender (L. angustifolia) is normally used. For this recipe, I used the buds only. I really like this Pelindaba organic culinary lavender. I also included a different organic option below that will work. I also used vanilla bean paste, which is something that I have never seen in a grocery store. You can buy organic vanilla bean paste through Amazon at this link. I will include links to a couple of different options at the end of this blog as well. In retrospect, I might also have added just a bit of beet juice to the batter to produce a lavender color, and I think that this cake would look spectacular with some candied violets on top. Grease springform pan. Process crust and press into bottom and sides. 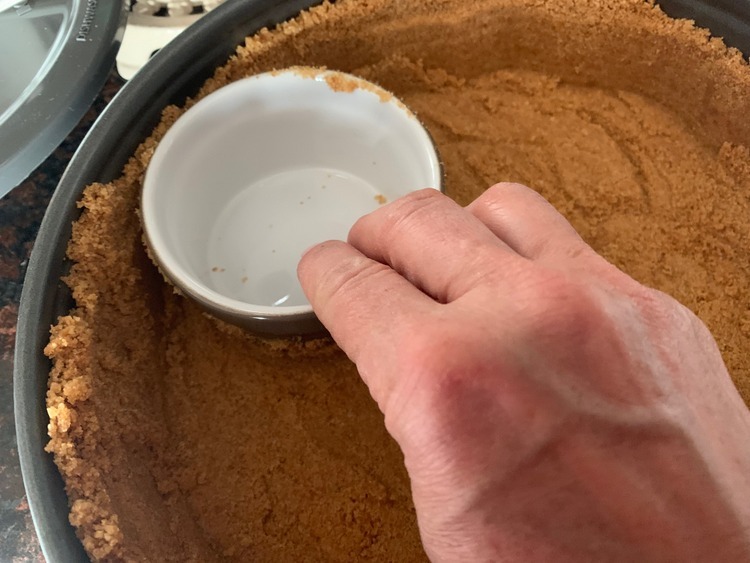 Use a ramekin to get the crust pressed well up the sides of the pan. Beat cream cheese until fluffy. Slowly add honey and then beat in eggs one at a time; beat in cream and vanilla. Add lavender. Pour into crust. Bake one hour or until cheesecake is barely set and jiggly in the middle. Cool 10-15 minutes. 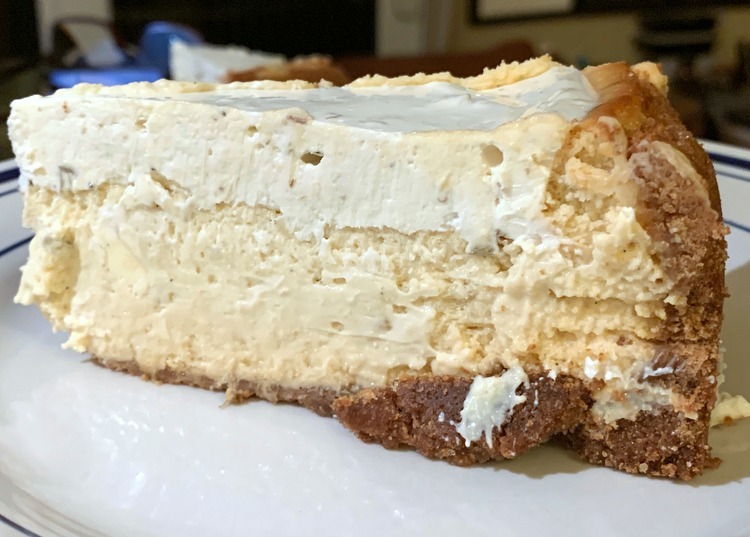 Mix sour cream, 1/4 cup honey, additional lavender and vanilla bean paste and pour over hot cheesecake. Bake 10 minutes more. The cake should still be jiggly when removed from oven. Cool on a wire rack at least 45 minutes, cover tightly and refrigerate. 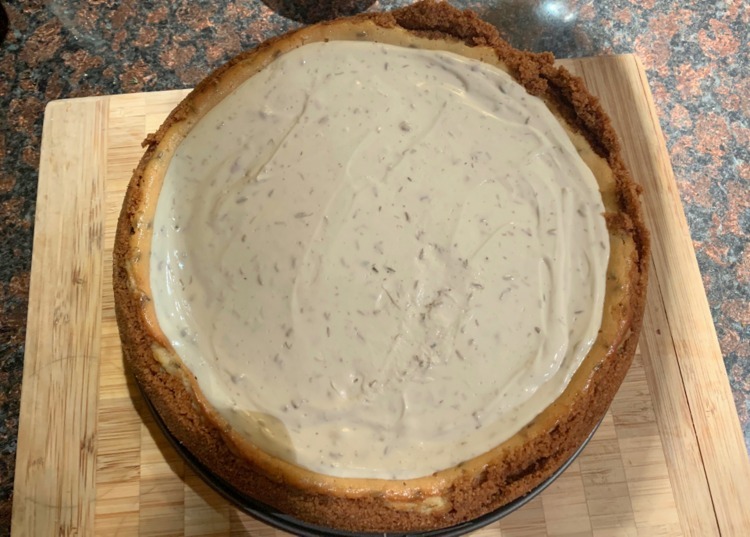 This recipe is best made a day or two in advance because the lavender will continue to release its aroma into the cheesecake over time.